The temporary relief of pain and/or inflammation associated with headache (including migraine and tension headache), dental pain, period pain, arthritis, aches and pains associated with the comon cold and flu, backache, sinus pain, muscular and rheumatic pain. Reduces fever. 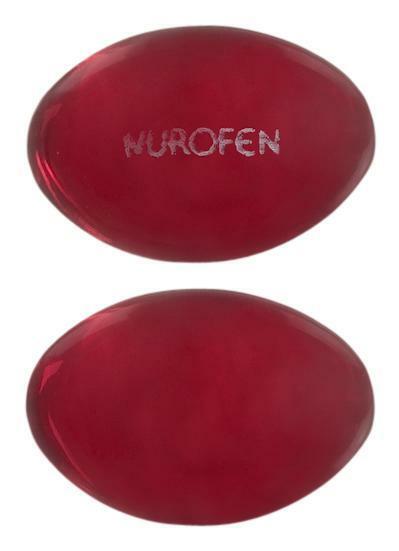 Red, oval, translucent soft gelatin capsule, printed with an identifying motif in white.